Can't figure out how to do what you want to do in iTunes? Kirk McElhearn can help. “iTunes keeps changing things...” I hear this a lot from readers who write in with questions about why a specific feature is missing, or why suddenly much of their iTunes library looks different. I discuss three such questions in this week’s column. One about finding the iTunes Store Wish List in iTunes 12.4, another about a change in the way you rate albums, and the third about the way playlists display. I also suggest a way to shuffle music on iOS by artist or genre. Q: With iTunes making changes in how things are viewed, is there a faster way to view my Wish List, or is going to the iTunes Store front page the only way to do it now? The recently released iTunes 12.4 made a number of changes in the way you view the content of your iTunes library, but also changed the way you access the iTunes Store. Previously, there was an icon in the iTunes toolbar that you could click to sign into your account, access your Wish List, view your Purchased list, and more. 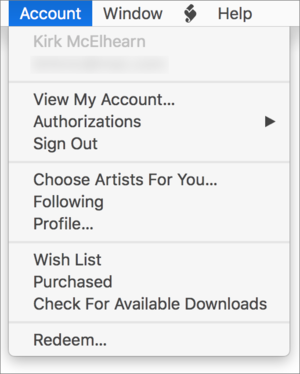 The Account menu is now the quickest way to access your iTunes Store account. Now, most account controls are available from the Account menu. 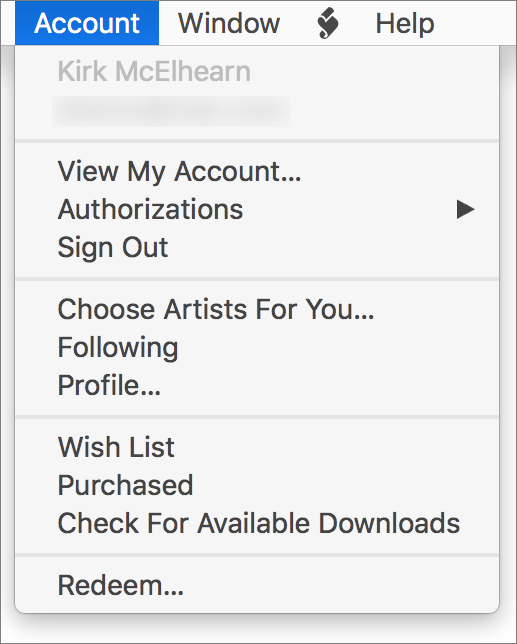 You can view your account, check authorizations, choose artists for Apple Music’s For You, and go to your Wish List and Purchased list. Just choose Account > Wish List, and sign in to the iTunes Store if necessary. There are still other ways to view the Wish List, if you prefer. In the iTunes Store, there’s a sidebar at the right on main pages (such as the front pages for Music, Movies, TV Shows, etc.) with links to your Purchased list, Wish List and more. There’s also a link to the Wish List in the footer of every iTunes Store page, under the Manage header. Q: I like to rate songs and albums, but I can’t find how to rate albums in iTunes 12.4. Can you tell me how to do this? Several people have asked this question, and many of them pointed out that they were used to choosing Album Rating from the contextual menu when right-clicking on an album. That option is no longer available in iTunes 12.4. The only way to rate an album is to be in Artists, Albums, Genres, or Composers view, and hover your cursor over the area just to the left of the ♡ icon. You can rate an album if you know where to click. When you do this, a number of very small, easy to miss dots display. Click one of them to set a rating for the album. When you do this, iTunes also considers that the songs have the same rating unless you rate the songs individually (as you can see above, the stars are gray for each song). 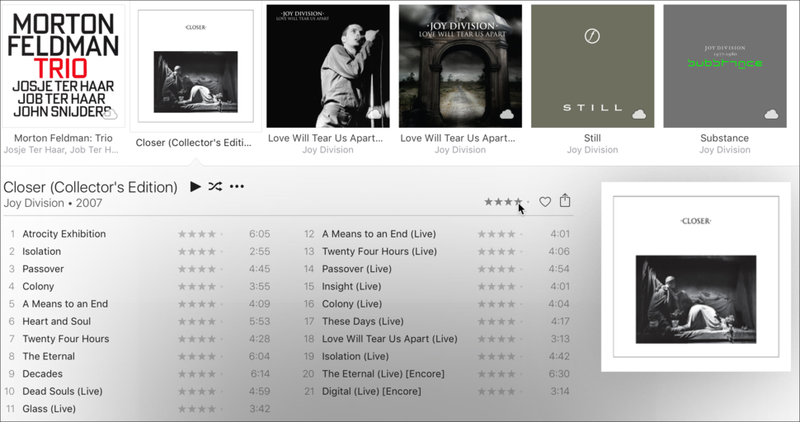 Note that iTunes 12.2 and later has caused a bit of havoc for some people, turning song ratings into album ratings. What’s happened to my playlist? Q: I recently created a new playlist, but the format was unlike my other playlists, which are all in simple list view. Suddenly, this list had thumbnails of album covers and a black background. I noticed that many, but not all, of my other playlists were in this same new format including a variety of background colors. How do I get my playlists back to plain list view? This playlist view has been available for a while; it’s surprising you haven’t encountered it yet. To return to a simple song list, select a playlist, press Command-J to bring up the View Options window, and choose View As Songs. Q: With the iPod, Apple trained us to enjoy shuffle. You could shuffle in any way you wanted. 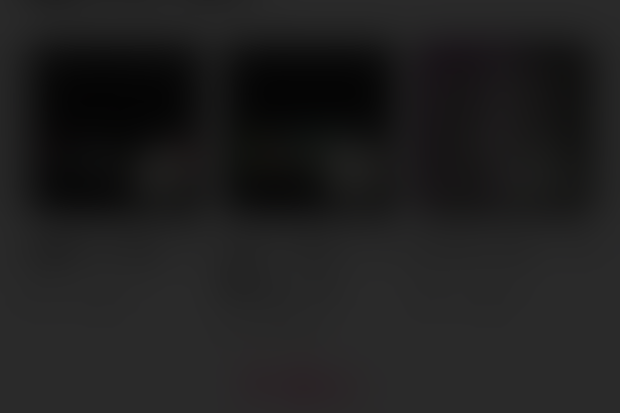 With iOS 9, that functionality seems limited. I can shuffle my entire Music library, but what I really want to be able to do is select a genre, and then shuffle within that genre. Or, select an Artist, and shuffle all that artist’s songs. I hope you can tell me how to do this! You can get Siri to shuffle artists or genres on your iPhone, if you know the secret code words. I agree, it’s a shame this isn’t possible in iOS. As you say, you can shuffle all your music. You do this by pulling down on the screen of an iOS device and tapping Shuffle All. One way to shuffle music is to use Siri: say “Shuffle all my rock music.” That’s fine; Siri can understand this, and plays rock music. However, if I try telling Siri to shuffle music by an artist, I get music from Apple Music (I’m a subscriber), rather than local music. And this is on my iPhone, where Apple Music isn’t even turned on. I’m signed into the iTunes Store with the same account, but I expressly didn’t turn Apple Music on, yet Siri still streams music. 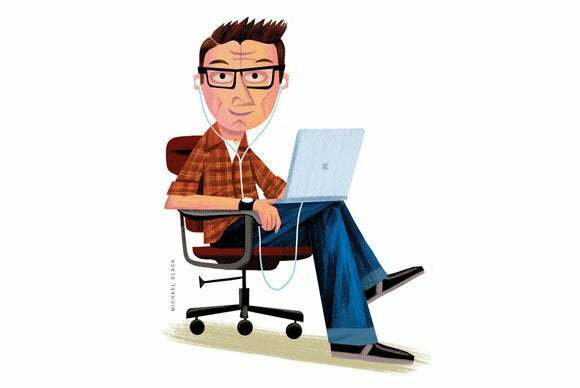 What does work is to say “Shuffle my music by the Grateful Dead,” or some other artist. The “my music” seems to be the key. I find Siri incredibly frustrating because of this sort of thing: if you don’t know the exact words to use to request a task, it fails. If Siri really were intelligent, it would know that there are different ways of asking to do something.